This is my cat, may she rest in peace. She was one of the best cats I ever had, Not too many will play fetch, but her favorite game involved a wadded up Hershey bar foil being tossed as far as possible, retrieving it and bringing it back to do it again. She is missed. 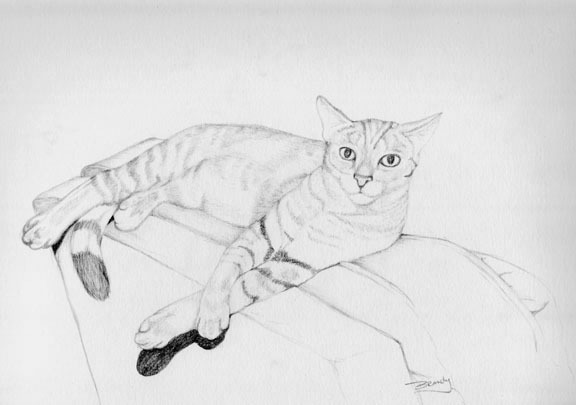 This is an example of my pet portraits and not for sale.